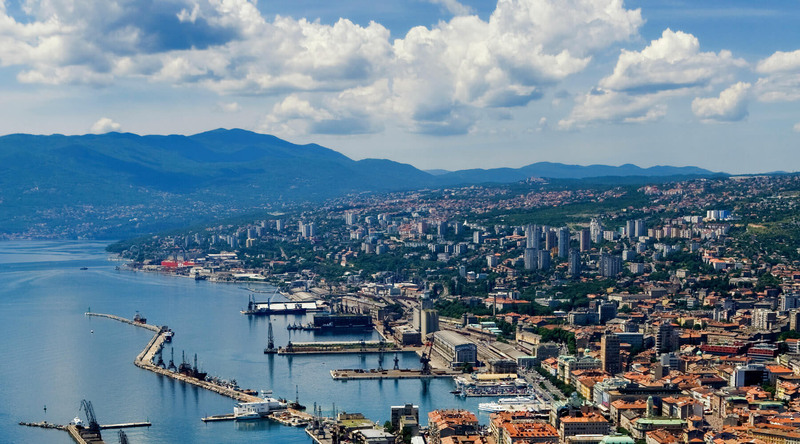 Rijeka is a beautiful city on the even more beautiful Kvarner Bay in Croatia. There are still traces of the old Hapsburg Monarchy in the stunning architecture, it is fascinating to explore. Parallel to the harbor, Korzo Street has shops and cafes for delicious Croatian seafood stop in at the art nouveau fish market hall for mussels and oysters right from the bay. The Governor’s Palace offers grand views over the harbor and views of the grand Hapsburg interiors inside. Next climb the 16th century Petar Kruzic Stairway to the top of Trsat hill to visit the Church of Our Lady. All along the Stairway, there are chapels dedicated to saints. Wear comfortable shoes, there are over 500 steps to the top. Climb the 561 stairs (or hop in a vehicle) to get to the top of Trsat Castle. Looming above Rijeka, Trsat Castle is one of the oldest fortifications on the Croatian Coast (dating back to at least 1288). Today, in addition to historic charm, an art gallery and café can be found there. The main sights in Rijeka have been labelled with plaques and can be seen by following a walking tour called the Tourist Route. You can find the route map at various tourist locations around the city. The Corso is the main pedestrian street in Rijeka. Lined with elegant period buildings that house a variety of shops, restaurants, bars, and galleries this is the place with locals and visitors alike gather to see and be seen. Step back through the centuries on the island of Krk, where you'll discover an epic history, a clifftop village, and a prized golden wine. Travel to medieval Labin, where you'll stroll along streets graced with Gothic, Renaissance and Baroque architecture, and discover the town's thriving arts community. Enjoy a narrated walk through the smallest town in the world, a tasting of Istria's traditional brandy, and spectacular views over Croatian vineyards and forests.